Skittles' Place: And The Winner Is.. So.. I'm awarding her this bobble head. She can put it on the shelf with the pig we gave her last year when we stopped by to meet her. 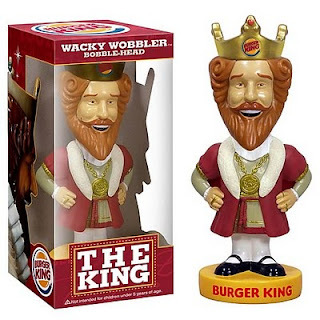 Ummmmmm Barb... uhhhhh even though Whoppers are my absolutely fave, you know that this guy is evil and possessed, right? Yep, you're right, he'll fit right in with the possessed pig!